The new restaurant will be much larger than the tiny Himitsu and will be part of the Penn Eleven redevelopment. 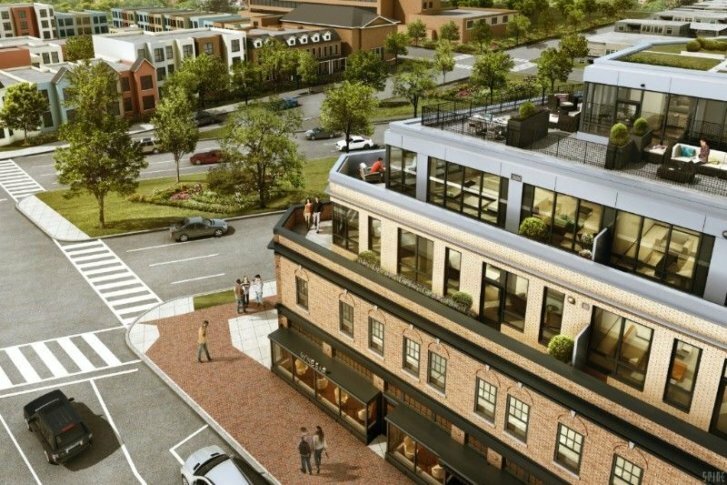 WASHINGTON — Kevin Tien, the chef whose tiny Himitsu restaurant in Petworth has won accolades, will open a second restaurant concept on Capitol Hill next year with the help of some restaurant industry heavyweights, and it will feature rotating carts of small plates. The much-larger, 3,300-square-foot restaurant will seat 100 and be part of the Penn Eleven redevelopment of the former Frager’s hardware store at 1101 Pennsylvania Avenue Southeast. Tien expects the new restaurant, named Emilie’s, to open next spring. “Two years ago, we opened Himitsu. Taking my passion for Japanese cuisine, but pushing the envelope and getting our guests out of their comfort zones, was exciting,” Tien said. Emilie’s will feature various small plates circulating in the dining room on carts, so guests can try different dishes. The daily-changing menu will also include large plates and a small a la carte menu, focused on local ingredients. Tien is opening the new restaurant with business partner Sam Shoja, owner of the Washington-area Jiinya Ramen Bar franchises. Restaurant veteran Arris Noble, whose resume includes executive positions at Sei, Oya, Sax and Rosa Mexicano, is also part of the Emilie’s team. In May, Tien, 31, was named one of the 10 Best New Chefs in 2018 by Food & Wine Magazine. He was also a finalist this year to be a James Beard Rising Star Chef of the Year.